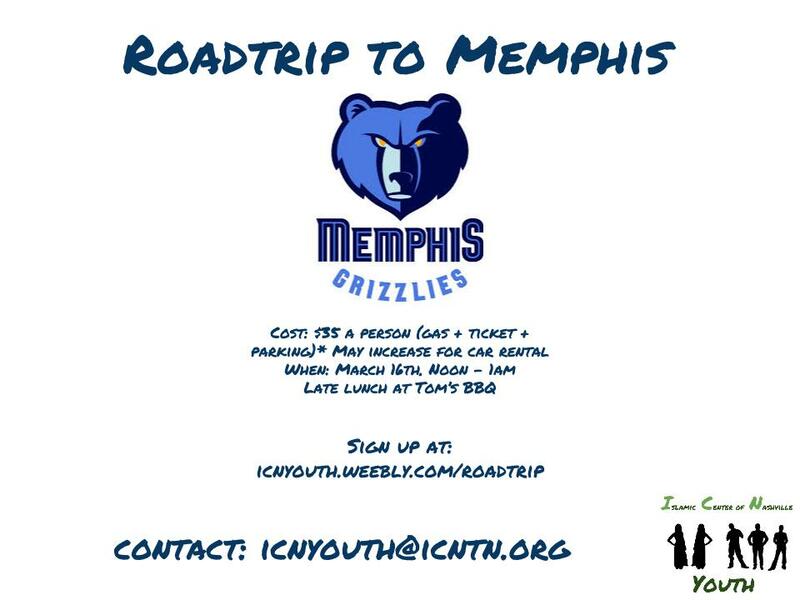 On March 16th, the Brothers of ICN will be taking a roadtrip to Memphis to watch the Memphis Grizzlies take on the Denver Nuggets for Islamic Heritage Night. "The Grizzlies have teamed up with the Islamic Community to plan a night of fun for our game against the Denver Nuggets on Monday, March 16, 2015. Come be a part of the community and enjoy some great basketball. Halftime of Grizzlies game: Kids 10 & under will be playing in front of crowd "